X2 is basically a short (two minutes and forty seconds long) prequel to the theatrical X film. It is a part of four music videos. 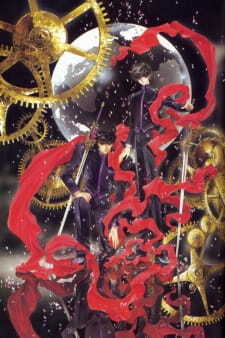 The first three are merely stills of CLAMP's pre-1994 X artwork and live-action sequences, but the fourth is animated by Madhouse. Being the only music video that contains actual plot, the fourth video introduces some of the major characters and quickly lashes through the first few X manga (equivalent to X TV series episodes 1-3) which take place before the theatrical movie.